Is there anything better than summer weekends? Long days, beach, picnics and eating outside. Even if it's just relaxing on a lawn chair after a full day of running around, drink in hand, and unwinding, it's heavenly. Is a tall glass of ice cold lemonade your thing? For me, the lemonade is better with a little kick. 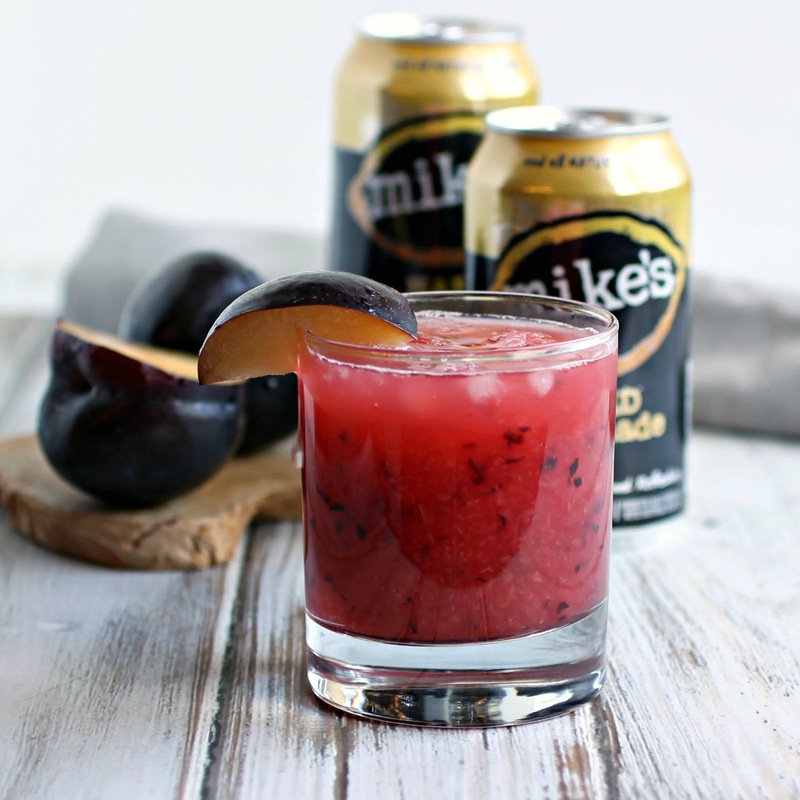 For years our summer weekends began with a stop at the store to stock the fridge and a case of Mike's Hard Lemonade has been known to find it's way into our shopping cart. 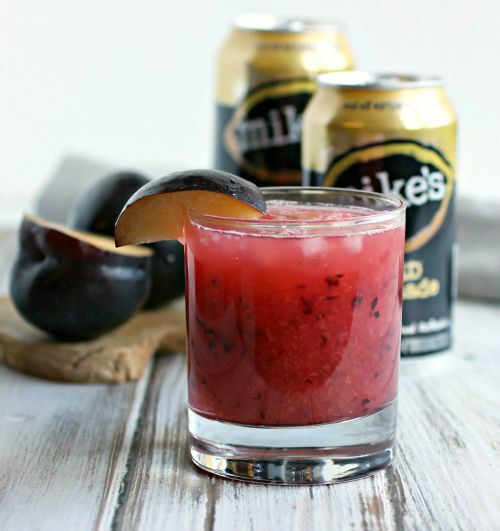 This year, Mike's has created the Flavors of America variety pack with each flavor representing a different region of the country: lemonade, peach, apple and black cherry. Please don't ask me to pick a favorite. I love them all and, with this pack, I can have them all. Summer is also all about outdoor entertaining. No need to set a fancy table or iron the napkins. I'm seriously kidding here. I would have trouble even locating my iron. No, gatherings are casual and easy outside. And of course, there's all that fresh fruit available these days. 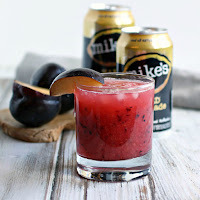 I was wooed by some lovely plums the other day and a few did end up in my blender with some vodka, ice and the hard lemonade. I think I might have just added my own flavor to that variety pack. Cheers! 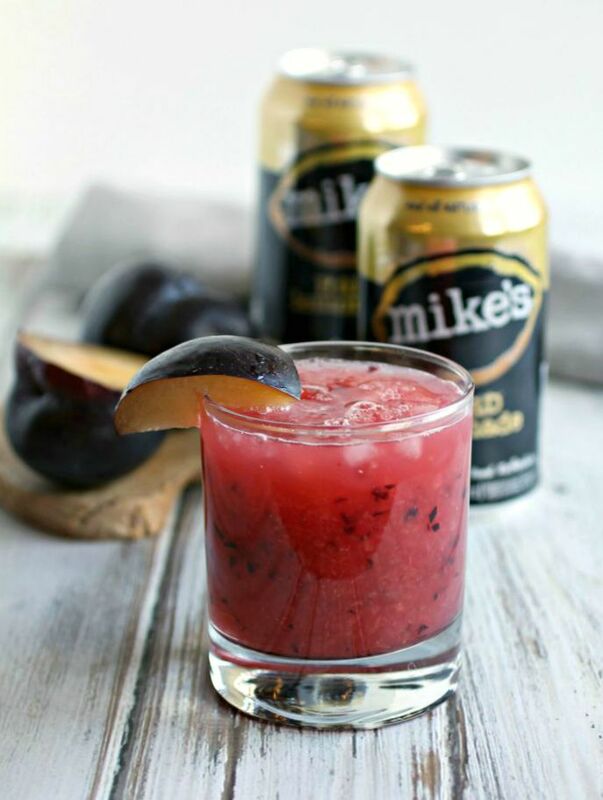 Add the plum, vodka, lemon juice, simple syrup and 2 ice cubes to a blender or small food processor and puree until smooth. Pour into a cocktail glass filled with ice and top with the hard lemonade. 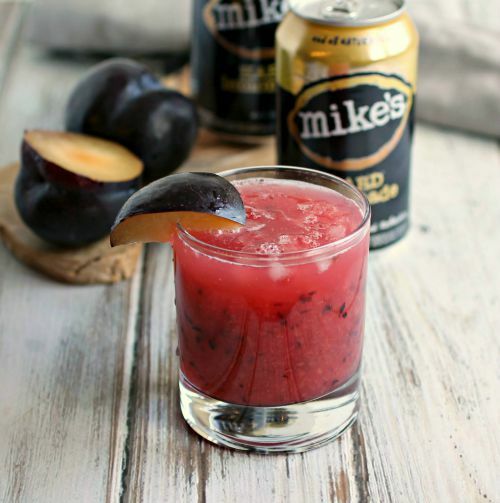 This recipe was sponsored by Mike's Hard Lemonade. Thank you for supporting the products I love and use in my kitchen.